Sunscreen doesn’t only protect you from skin cancer, it can reduce skin aging! According to a CNN article I came across this week, a study was done on the effect of sunscreen and prevention of skin aging. 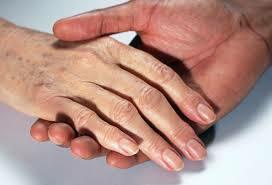 Are your hands looking older than they should be? Make sunscreen your BFF! Australian researchers conducted the study utilizing 900 participants for the experiment. They followed the participants for four years and tracked their skin changes. What a long time! Some of the participants were told to use sunscreen daily and instructed to reapply sunscreen after being outside for a few hours while another group were given no directions on how to use or when to apply sunscreen. The changes in skin were tracked and measured through a cool technique called microtopography. During the process, the researchers made sensitive silicone impressions on the back of each of the participant’s hands. According to Dr. Adele Green, the study’s lead researcher, she said, “Skin surface patterns reflect the severity of the sun’s damage to the deeper skin, especially to the elastic fibers and collagen.” Skin damage was measured on a scale from 1 to 16; 1 meaning no damage and 6 meaning skin with severe aging. The participant’s of the study were given a score at the start of a four year period and a final score at the end. Those who used sunscreen daily were 24% less likely to show increased signs of aging! That’s incredible results! There have always been thoughts on how the sun has a damaging effect on a person’s skin. According to Dr. Green, “We now have the scientific evidence to back the long-held assumption about the cosmetic use and value of sunscreen.” The article also states, according to Dr. Lawrence Gibson, a professor of dermatology at Mayo Clinic, “the sun does damage with different types of radiation.” He said that UV-B radiation is the primary cause of the most skin cancers and is also the main cause of sunburns. Another great way to protect yourself from skin cancer is to use a portable UV blocking umbrella that has sun protection fabric that will block out the damaging UV rays. 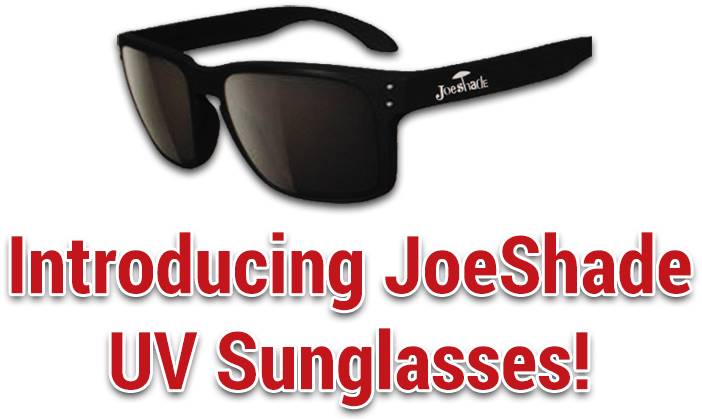 A portable umbrella with a tripod stand, like JoeShade, will make it easy to protect you and your family from harmful rays known to cause skin cancer and keep you cool wherever you go! Were you surprised by the results of the sunscreen study? Do you apply sunscreen daily? What thoughts do you have for better protection, we’d love to hear from you!